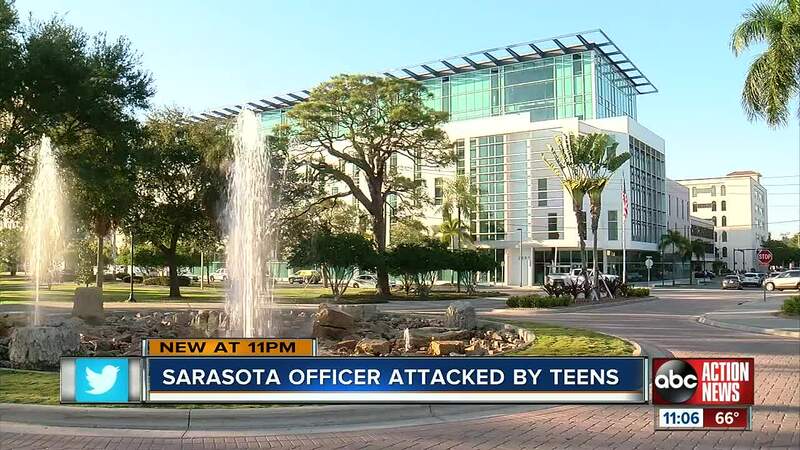 An off-duty Sarasota Police officer was assaulted by a group of teenagers Thursday afternoon. 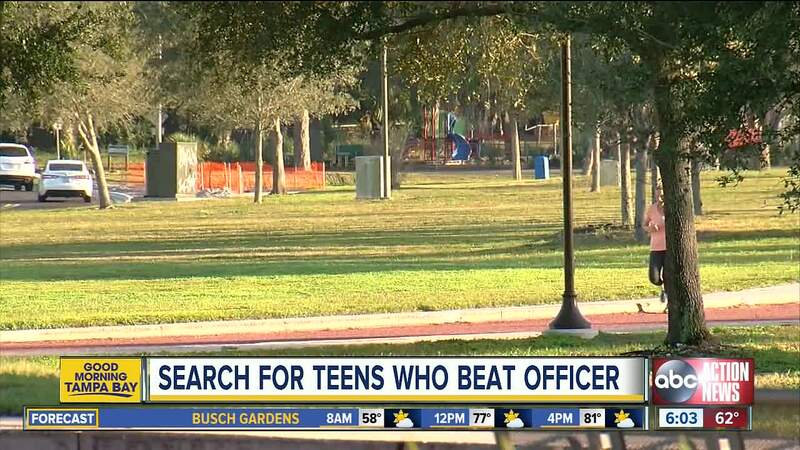 SARASOTA, Fla. — An off-duty Sarasota Police officer was assaulted by a group of teenagers Thursday afternoon. It happened just after 12:00 p.m. at Payne Park. The officer was jogging when he noticed a homeless person being harassed, pushed and hit by a group of teenagers. "We came over here and found out one of the homeless guys was attacked and an off-duty cop jogging in the area tried to intervene and they attacked him as well," said William Schlenger. The off-duty officer identified himself as a Sarasota police officer and told the teens to stop. At least five teenagers reportedly stopped harassing the homeless person and turned their aggression to the off-duty officer, striking him several times and injuring him before leaving the area. Zach Farley said he heard the commotion and ran over. "When the officer approached, he was like back up, back up then he started yelling afterwards because they weren't listening then they kind of surrounded him at that time," said Zach Farley. That officer has minor injuries. The man believed to be homeless was not injured. "It's brazen especially after he identified himself as a police officer," said Schlenger. Parents said those teens need to learn a lesson about respect. "The Golden Rule, do unto others as you would have them do unto you, you should be extending a hand in generosity not violence," said Jason Free, a parent. Anyone with information on this case is asked to call Detective Dan Riley at 941-954-7062 or leave an anonymous tip with Crime Stoppers by calling 941-366-TIPS. UPDATE: (2/8) Sarasota Police say a 16-year-old has been arrested in this case. He has been charged with Battery on a Law Enforcement Officer.